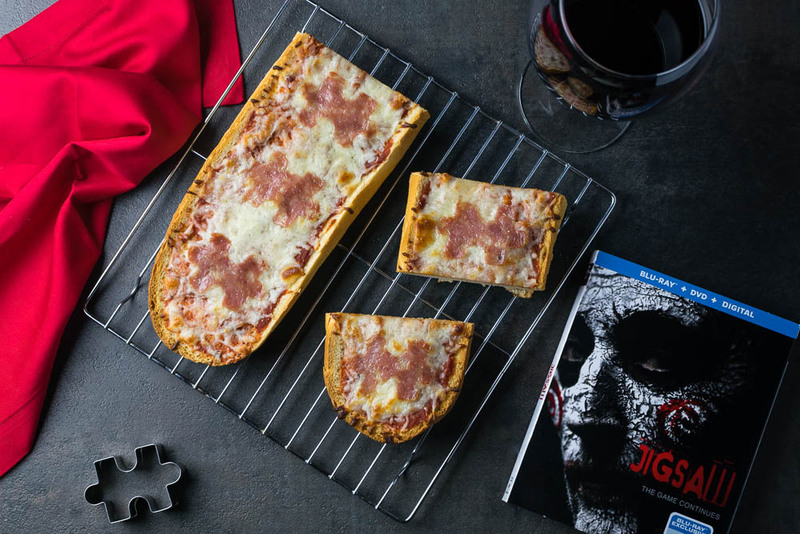 We received a review copy of Jigsaw to help with creating our Puzzle Piece Pizza. Hello readers. We’d like to play a game. 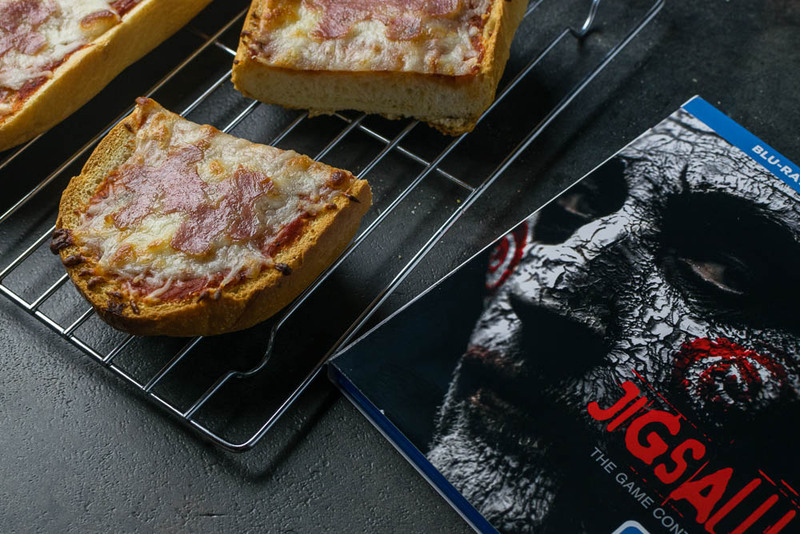 Back in October we did a recipe for the theatrical release of Jigsaw. While we liked the recipe we created, we really wanted to create another one. Fortunately, we were asked to create a new recipe for the home video release. This gave us an opportunity to create another recipe inspired by one of our favorite horror series. 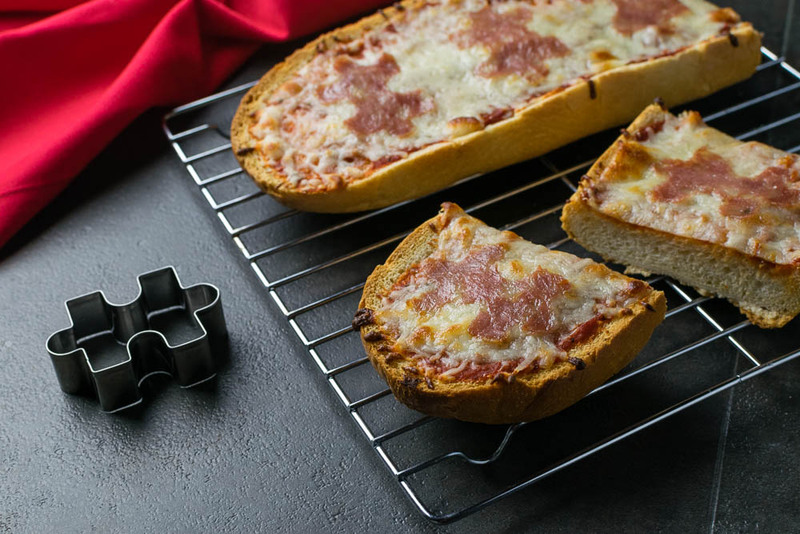 Now it is your opportunity to try a new recipe, one we call Puzzle Piece Pizza. The choice is yours. Much like our previous recipe, we were inspired by the calling card left by John Kramer. If you aren’t familiar, each victim has a puzzle piece cut out of their skin if they don’t survive their test/trap. This recipe however, was a bit different from our cookies. This time, the melted cheese mimics skin while the salami recreates the removed section of skin. You can easily use any salami, or pepperoni as long as it fits your puzzle piece cookie cutter. 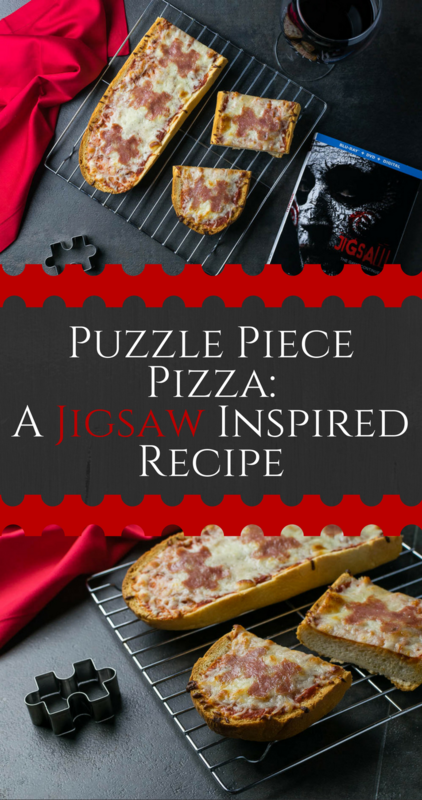 We hope you enjoy our recipe for Puzzle Piece Pizza! Be sure to pick up your copy of Jigsaw (and check out the 7 part documentary in its bonus features), now available on Blu-ray, DVD, and Digital! Move oven rack to top third of oven. Place on baking sheet, cut side up. Cut salami into puzzle pieces. Remove from oven, top with sauce, cheese, and salami. The Geeks were provided with a copy of Jigsaw for research purposes. Images and title treatments were used with permission. All opinions are wholly our own. View our Disclosure Policy for more info.